As cleanup remains ongoing from Hurricane Harvey, we are asking that citizens report flooding or storm damage. 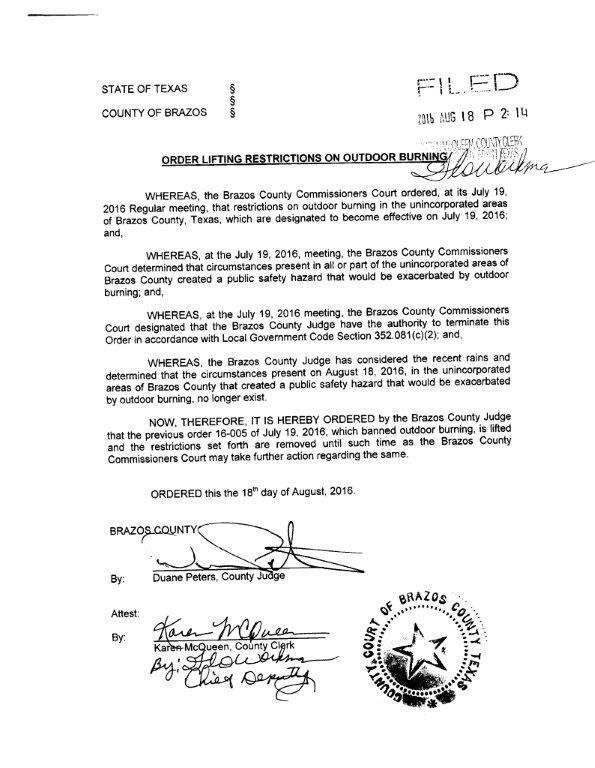 Below is information for citizens on how to report damages within the area of Brazos County that they live in. Help your local emergency management partners by completing a survey for the update of our Hazard Mitigation Action Plan. It only takes about 5 minutes, and your thoughts may help drive what mitigation actions are tackled. 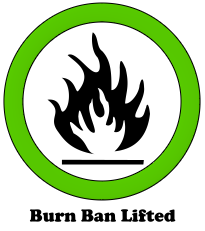 The burn ban for the unincorporated areas of Brazos County has been lifted. AUSTIN, Texas—Two deadlines are fast approaching for Texans affected by the April storms and those who had damage from flooding that began around Memorial Day weekend and stretched into June. The deadline to apply for federal disaster assistance for the April 17-30 storms is July 29. That deadline is for these 16 affected counties: Anderson, Austin, Cherokee, Colorado, Fayette, Fort Bend, Grimes, Harris, Liberty, Montgomery, Parker, San Jacinto, Smith, Waller, Wharton and Wood. If damage occurred May 26-June 24, the registration deadline is Aug. 10. That deadline is for these 24 affected counties: Austin,Bastrop, Brazoria, Brazos, Burleson, Eastland, Fayette, Fort Bend, Grimes, Harris, Hidalgo, Hood, Kleberg, Lee, Liberty, Montgomery, Palo Pinto, Parker, San Jacinto, Stephens, Travis, Tyler, Waller and Washington. Presidential disaster declarations for the two storms made federal assistance available to eligible individuals and households as well as those working in the designated counties. Some counties are included in both declarations. Applying for disaster assistance is essentially a two-step process, which ensures consideration for all FEMA programs and the U.S. Small Business Administration disaster loans. First, register with FEMA, then complete and return the no-obligation SBA loan application, if one is offered. There is no charge to apply for the loan and if approved, no obligation to accept it. phone 800-621-3362 (FEMA). Applicants who use 711 or Video Relay Service may also call 800-621-3362. Persons who are deaf, hard of hearing or have a speech disability and use a TTY may call 800-462-7585. The toll-free numbers are open from 7 a.m. to 10 p.m., seven days a week. Multilingual operators are available. at a disaster recovery center. To find the nearest one, go online to the disaster recovery center locator atasd.fema.gov/inter/locator. Survivors should register even if they have insurance. FEMA cannot duplicate insurance payments, but underinsured applicants may receive help after their claims have been settled. A free multilingual guide to the types of assistance available can be found at fema.gov/help-after-disaster. For more information on the Texas recovery, visit the disaster webpage for the May-June storms at fema.gov/disaster/4272; or visit the Texas Division of Emergency Management website at txdps.state.tx.us/dem. Follow FEMA on Twitter @femaregion6. Download fema.gov/mobile-app to locate open shelters and disaster recovery centers, receive severe weather alerts, safety tips and much more. AUSTIN, Texas—FEMA is looking to hire Texas residents as temporary employees to help with the state’s recovery from the past year’s storms and flooding. FEMA is hoping to hire as many as 14 people—mostly in Austin and Houston but with a few positions in Denton and Bon Wier—to fill a variety of temporary positions working on disaster recovery. Temporary local hires may be employed for 120-day terms, which may be extended up to one year maximum. They do not get hiring preference for other federal jobs as a result of their temporary employment. Selected health benefits are offered for these positions. The wages vary depending on the nature of the work being performed and are set based on the prevailing wages of the state and locality. The positions range from administrative work to media relations. Most temporary workers can be hired under a streamlined process instead of a competitive process. They must be 18 years old, have graduated high school or obtained a GED and have the appropriate qualifications for their positions. They will also be required to undergo a standard credit and criminal background check. To find out more about the positions available and to apply, visit the Texas Workforce Commission’s website at workintexas.com. For more information on the Texas recovery, visit the FEMA webpage at fema.gov/disaster/4272 or visit the Texas Division of Emergency Management website at txdps.state.tx.us/dem. Follow FEMA on Twitter @femaregion6. 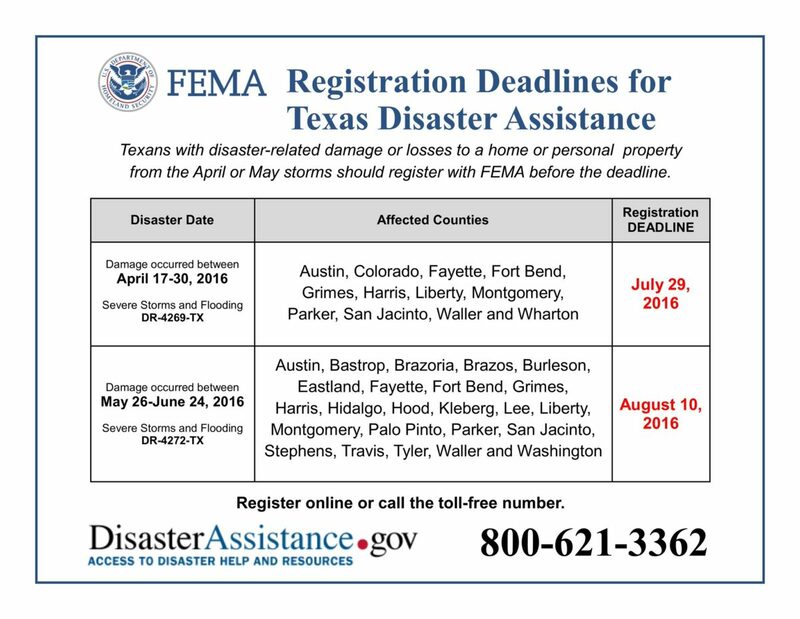 AUSTIN, Texas—Residents of 10 Texas counties that were hit by storms and flooding in April are encouraged to register with FEMA for federal disaster assistance if they had damage from the May-June event, as well. In back-to-back disaster declarations, residents of 10 counties were affected by storms and flooding April 17-30 and again May 26-June 24. Those counties were Austin, Fort Bend, Grimes, Harris, Liberty, Montgomery, Parker, San Jacinto, Tyler and Waller. If residents of those 10 counties registered with FEMA for April disaster-related damage, they also need to register for damage sustained in the May-June storms. Federal assistance became available to 24 counties for the May-June floods after the presidential disaster declaration of June 11. Those counties are Austin, Bastrop, Brazoria, Brazos, Burleson, Eastland, Fayette, Fort Bend, Grimes, Harris, Hidalgo, Hood, Kleberg, Lee, Liberty, Montgomery, Palo Pinto, Parker, San Jacinto, Stephens, Travis, Tyler, Waller and Washington. The deadline to register for assistance is the same for all 24 counties: Aug. 10.
at a disaster recovery center. To find the nearest one, go online to the disaster recovery center locator at asd.fema.gov/inter/locator. For more information on the Texas recovery, visit the disaster webpage for the May-June storms at fema.gov/disaster/4272; or visit the Texas Division of Emergency Management website at txdps.state.tx.us/dem. Follow us on Twitter @femaregion6. If you still have unmet needs, following the May 26 severe weather, please follow the link below to see if you qualify for addition assistance. Lacey Lively with the City of College Station Public Communications Department, recently featured the Brazos CEOC on her bimonthly show, “The Lively Report“.